We cleaned many ovens in and around Kent this week, doing a fantastic job getting the best results possible. We usually clean about 10 ovens per day all over Kent. We have 2 vans equipped with the latest oven cleaning dip tanks and cleaning products to ensure we have the best service possible. 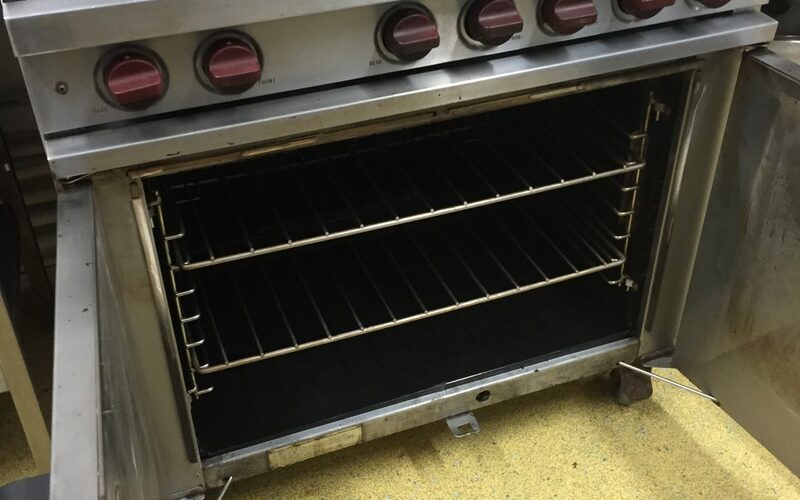 Our technicians are well trained and have years of experience offering a deep clean oven cleaning service. We clean many different types of oven from single oven, double ovens and even range ovens. We remove any doors and glass from the oven door, we then remove all racks and trays to place them in our oven cleaning dip tank. The tank will remove all grease and carbon deposits and leave them shiny looking like new, we then clean the inside of the oven by hand making sure we get all the grease and carbon from within. Once clean we buff everything to shine and fit back in place. Once the oven has been cleaned to our standard we then make sure there is no mess left around, we sweep the floor and wipe up leaving the area clean and tidy. We always show our customers the results and ask if they are happy with our work as we always want our clients to be pleased with their cooker clean. This oven was cleaned by Chris for Mrs Jones. She was amazed how clean he got it. Another job well done by Chris he is the best for oven cleaning Maidstone. If you would like to know how much we charge for an oven deep clean please check out our prices page. If you would like to book or have any questions please contact us.